Swiss watchmaker Zenith launched its groundbreaking El Primero chronograph watch in 1969, the same year that Land Rover rolled out the two-door Range Rover, now known as the Classic. It was a coincidence that became a partnership 49 years later, in 2016, when the two marques kicked off a deal that has resulted in several Range Rover-branded timepieces. The latest, a limited edition of 200 pieces, is designed as a companion piece to the next-generation Range Rover Evoque. 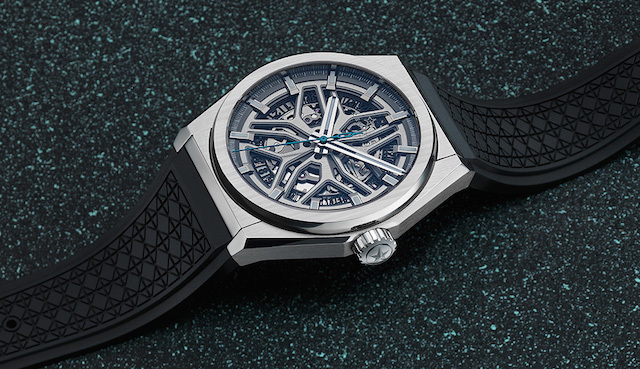 The watch is called the Zenith Defy Classic Range Rover. Why the moniker Defy Zenith hasn’t said. But it’s saying much more about the watch itself. Its 41-mm case is made of brushed titanium and includes design features from the Evoque. Zenith says the open-worked dial is inspired by the wheel rims of a Range Rover. The centre-mounted seconds hand – that’s if those of us who believe in less is more can spot it against the watch’s cluttered, mechanical background – is coloured ‘Artic Petrol’, the turquoise blue colour used on the detailing of the new Evoque’s steering wheel and seats. 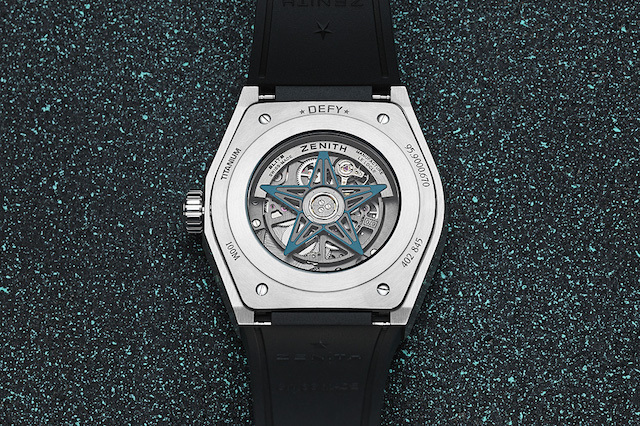 This same colour is also used for the movement’s oscillating weight, here in the shape of Zenith’s historical star logo, which is visible, along with other elements of the self-winding caliber, through a sapphire caseback. Powering the Defy is Zenith’s Elite 670 5K caliber, made up of 167 components, including 27 jewels. The movement beats at a frequency of 28,800 vibrations per hour, and has a power reserve of 48 hours. The movement, essentially a simpler, time-and-date-only relative to Zenith’s more famous El Primero chronograph movement used in previous Range Rover editions, uses silicon for its escape wheel and lever and has been skeletonised for optimum lightness and visual interest. The timepiece is mounted on a black rubber strap endowed with a quilted pattern echoing that used on the upholstery of Range Rover SUVs. The whole ensemble attaches to the wrist with a folding clasp made of titanium. Don’t know what the new Evoque will cost when it lands in New Zealand, but the watch is listed at $US7500, or $NZ10,800.